For people in parts of Lockyer Valley Council Area. Issued at 4:24 pm Wednesday, 10 April 2019. The Bureau of Meteorology warns that, at 4:20 pm, severe thunderstorms were detected on the weather radar near the area south of Helidon. These thunderstorms are moving towards the northeast. 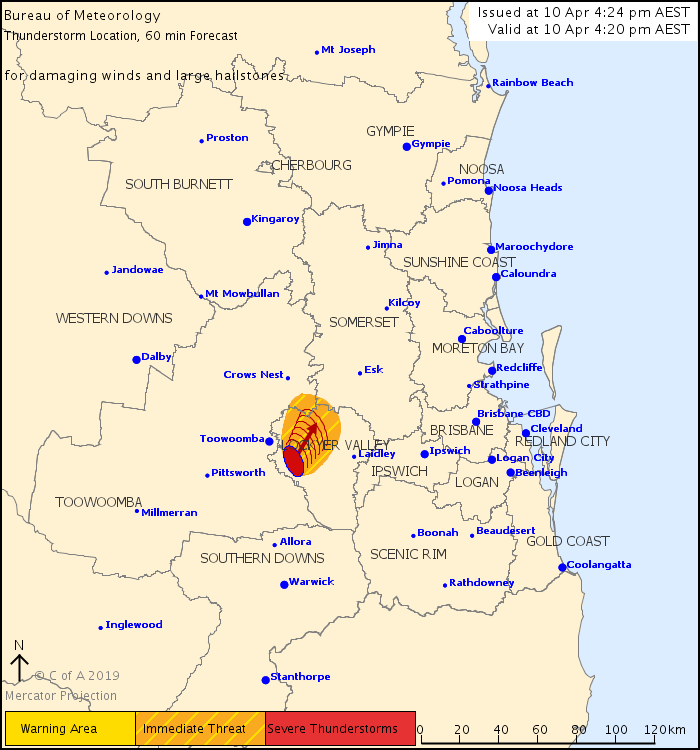 They are forecast to affect Helidon by 4:55 pm and Grantham by 5:25 pm. Damaging winds and large hailstones are likely.